It’s easy to talk to most Australians about sport. They like talking about it because they are, on the whole, good at it. At the Olympics, Australia often finds itself in the top five of the medals table, despite its relatively small population of around 22.5 million people. 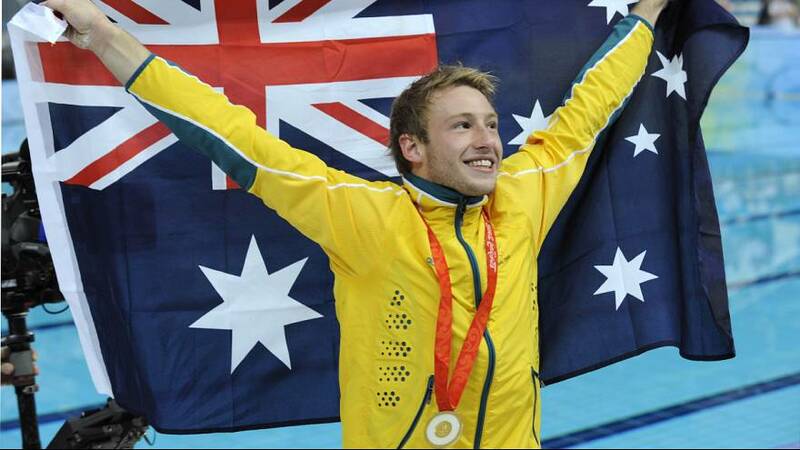 There are fewer than 500,000 Aussies for every Olympic medal the country won in Beijing. For the USA the figure is 2.7 million. Outside of the Olympics, Australians have been world champions at rugby league nine times, rugby union twice and in the 1990s had arguably the most dominant cricket team the world has ever seen. They even have their own sport, Australian Rules Football, to practice among themselves when other countries are having a rest. But what makes them so good at sport? When asking them this to try to find out, they were only too happy to help. Professor Hans Westerbeek is the Director of the Institute of Sport, Exercise and Active Living at Victoria University. Dutch-born, he emigrated to Australia in 1994 and his enthusiasm for sport is reflected by the fact that he carried out a telephone interview whilst on an exercise bike. “Australia has for 200 years used sport to identify itself, as it has very little history to ground itself on. Sport in Australia is a means of expression,” he says. This new research culture was eagerly embraced by the Institute and in the university network, to the point where even the research bodies were competing amongst themselves to be the best at improving Australia’s sporting performance. Sports administrators now had a plan, they had science on their side and they were also given money. “In terms of absolute investment, Australia is consistently towards the top of the list for federal funding. Also, between 75% and 80% of federal money goes into elite sports. On a state level there is also state money going towards sport. It is also a deliberate policy to target sports that you can win more medals in,” explains Prof. Westerbeek. He points to identifying talent as one of the key factors in improving a country’s sporting success but rather than simply paying more scouts, Australia again turned to science to help find the swimmers, runners, rowers, cyclists and rugby players of the future. By identifying genetic markers in young sports enthusiasts, it becomes possible to steer talent to where it would be most successful. It’s perfectly plausible, Westerbeek says, that somewhere (although he insists not in Australia) within the next 20 years, genetic codes in unborn babies will have been modified to produce, for example, a gymnast or any other specific type of sportsman or sportswoman. The Australian system is by no means perfect. “Ours is predominantly a club based model, with talent working through the club system,” says Prof. Shilbury. “We have had issues with ensuring that Physical Education and sport is actually taught in the (school) curriculum. We have the odd elite sports secondary school, but they are the exception. So Australia can still up its game without having to turn to purpose-built Frankenstein sportsbabies. The Australian press, parts of which have already got the knives out in anticipation of a sporting disappointment in London, will be watching the medals table very closely. The reforms that the likes of Prof. Shilbury are calling for may come sooner should Australia suffer a repeat of Montreal. In any case it would give most Australians a great deal to talk about.